PHP Website development has always been the best way if you really require a top-notch quality and dynamic website. 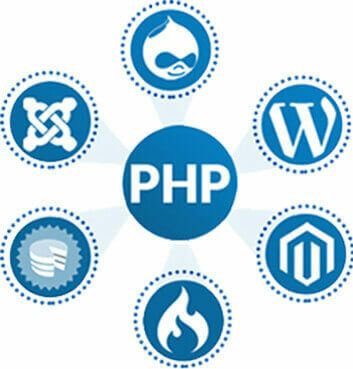 PHP, being a well-emerged scripting language and CloudZon being a best PHP Web Development company for the past decade, our client organizations can expect a booming PHP Web Development services that fulfill all the requirements in a fast response time. 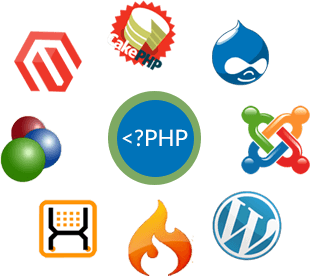 We provide PHP Custom Development to create platforms for your website updating with less understanding about the scripting language. Its Custom PHP development that supports a visitor to get the instant alerts, messages, news that is to be included in their websites. Since it is based on C, C++ and code is embedded in HTML source, its familiar to all and easily readable. To prevent from malicious attacks and threats it has much more security layers and has its own memory space to reduce loading time. Moreover, PHP website development services are easily available and are very easy to learn. Why CloudZon for PHP web development? To design your website in a lively manner we completely make use of this open source scripting language for different areas of interests like finance, travel, share and stocks, entertainments, restaurants etc. Using latest methods in MySQL and PHP, our skilled staff design custom website applications that are database driven and also offer turnkey solutions for your every requirement. CloudZon is also expertise in supporting the technologies like Joomla Development, Magento Development, and Wordpress Development by offering end-to-end application development services for these technologies. We have proven excellence in documenting every code as simple one and in 24/7 customer support services. If you wish to avail our PHP Website development services, feel free to contact us.